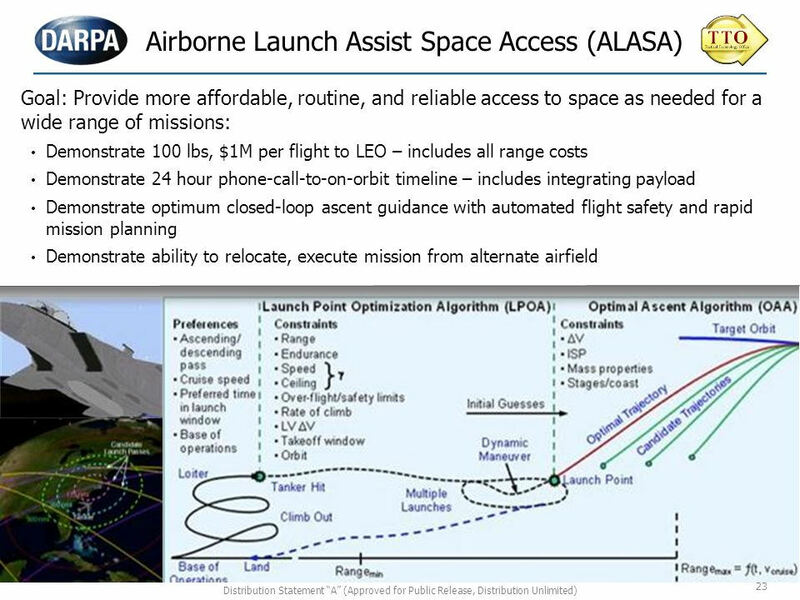 Airborne Launch Assist Space Access (ALASA) aims to develop and employ radical advances in launch systems, to include the development of a complete launch vehicle requiring no recurring maintenance or support, and no specific integration to prepare for launch. Satellites are presently launched via booster rockets from a limited number of ground facilities, which can involve a month or more of preparation for a small payload and significant cost for each mission. Launch costs are driven in part today by fixed site infrastructure, integration, checkout and flight rules. Fixed launch sites can be rendered idle by something as innocuous as rain, and they also limit the direction and timing of orbits satellites can achieve. 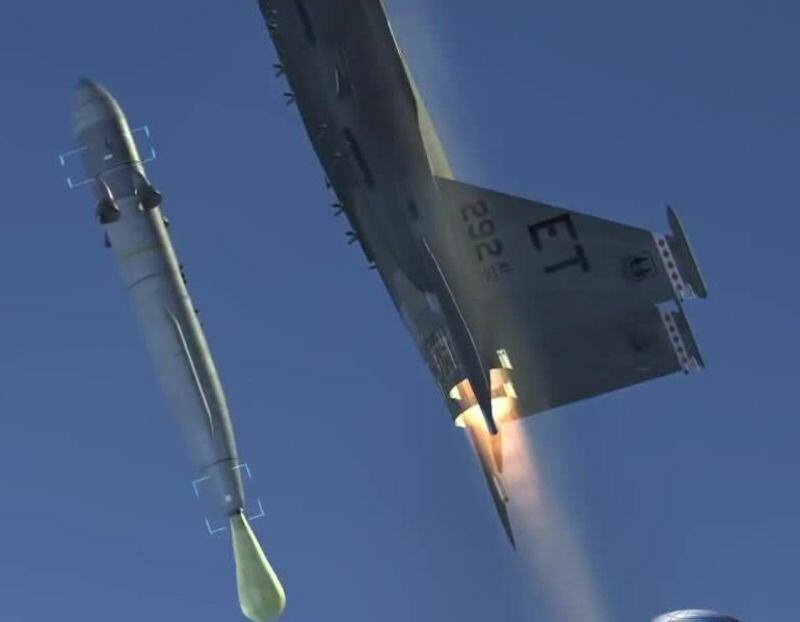 ALASA is designed for launch from an aircraft to improve performance, reduce range costs and enable more frequent missions, all of which combine to reduce cost. The ability to relocate and launch quickly from any major runway around the world could substantially reduce the time needed to launch a mission. Launching from an aircraft provides launch point offset, which permits essentially any orbit direction to be achieved without concerns for launch direction limits imposed by geography at fixed-base launch facilities. Launch point offset permits essentially any possible orbit direction to be achieved without concerns for launch direction limits imposed by geography. Finally, launch point offset allows the entire operation to be moved should a particular fixed airfield come under threat. 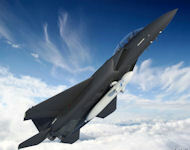 The ALASA demonstration system plans to draw on emerging technologies to provide increased specific impulse propellants, stable propellant formulations, hybrid propellant systems, potential “infrastructure free” cryogen production, new motor case materials, new flight controls and mission planning techniques, new nozzle designs, improved thrust vectoring methods and new throttling approaches. The vision is for an aircraft to carry the small satellite and its host-booster either inside the aircraft or externally. At the desired altitude and direction the aircraft releases the satellite and booster, which continue their climb into space. Innovative technologies and techniques required for the ALASA program may include propellant systems, possible in-flight liquid oxygen production, motor case materials, flight controls, nozzle designs, thrust vectoring, throttling, mission planning techniques and airspace clearance procedures. ALASA will demonstrate a launch system that works without the need for extensive maintenance, preparation, or inspection in advance of launch. This capability will enable a one day interval between call-up and launch, a rapid mission planning demonstration where the intended orbit is selected after takeoff of the launch assist aircraft, and a demonstration of the ability for rapid departure from a threatened airfield to execute a launch mission from a remote site. Virgin Galactic, Las Cruces, N.M. Under an 11-month, $30.6-million contract awarded March 21, 2014 with options to build up to 12 of the 24-foot vehicles for a total of $104 million, Boeing and DARPA intend to test the ability to cut the cost of routinely launching microsatellites into orbit by 66 percent. The 24-foot (7.3-meter) ALASA vehicle is designed to attach under an F-15E aircraft. 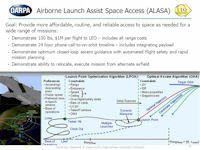 Once the airplane reaches approximately 40,000 feet, it would release the ALASA vehicle. The vehicle would then fire its four main engines and launch into low-Earth orbit to deploy one or more microsatellites weighing up to a total of 100 pounds (45 kilograms). 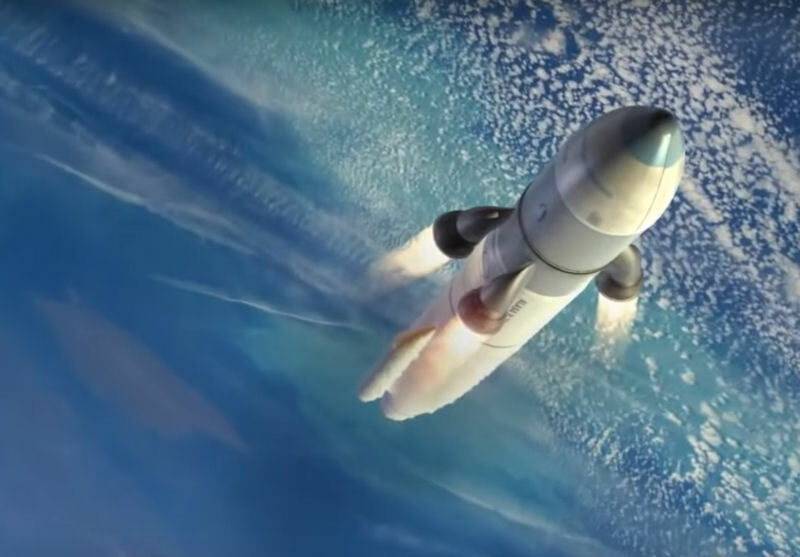 Boeing’s design takes the concept one step further and shifts traditional thinking when it comes to today’s launch vehicles. “As these stages are jettisoned (or dropped), the fuel tank and engines are just thrown away. We developed a cost-effective design by moving the engines forward on the launch vehicle. With our design, the first and second stages are powered by the same engines, reducing weight and complexity,” explained Steve Johnston, director, Advanced Space Exploration. The F-15E launch vehicle would require no modifications to launch the ALASA payload, not even software, because the rocket will use the same communications protocols as a typically mounted weapons system. This enables the aircraft to continue flying other missions as a cost benefit over being specialized. The rocket will also feature new design technologies to lower complexity and costs. It will be powered by a monopropellant, a combination of nitrous oxide and acetylene, and mixed together in one propellant tank slightly below room temperature; the propellant choice is a dramatic simplification of the complexity of the rocket vehicle. Rocket design was also unconventional, mounting four engines just below the payload for use on the first and second stages, with propellant tanks below the engines dropping away once exhausted to avoid the expense and complexity of separate sets of engines for the first two stages. DARPA planned to develop a second, smaller launch system called the Small Air Launch Vehicle to Orbit (SALVO) to understand operations cost, demonstrate new technologies like battery-powered pumps for the rocket’s engines, and provide overall program before ALASA is launched. SALVO is to launch in spring 2015, six to nine months before the first ALASA flight in late 2015. 12 flights are to be conducted through mid-2016 from Eglin Air Force Base, Florida over the Atlantic Ocean; after completion, the program will seek to transition to an operational customer. 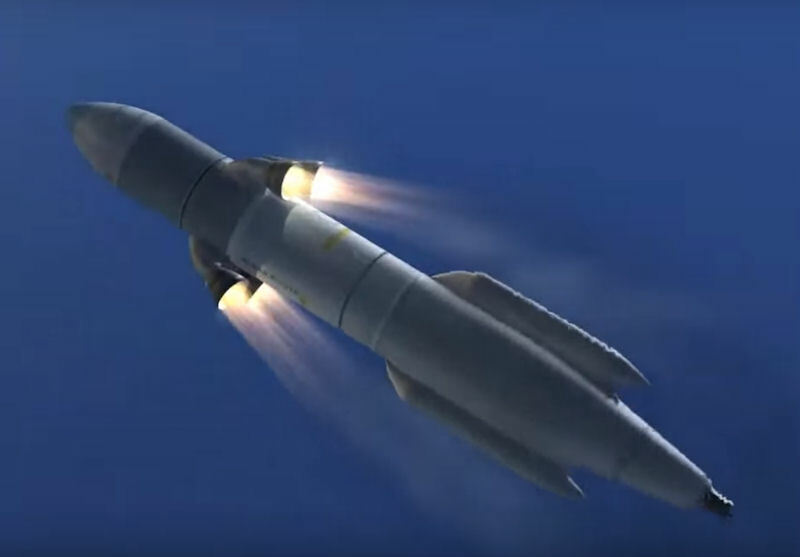 The ALASA Phase 2 design envisioned launching a low-cost, expendable launch vehicle from conventional aircraft. 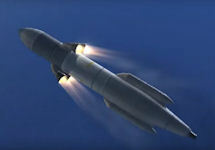 Serving as a reusable first stage, the plane would fly to high altitude and release the launch vehicle, which would carry the payload to the desired location. Multiple stage rockets have been used to launch orbiting devices, such as satellites, in the past. These have included both ground and air launched systems. However, the multiple stage rockets are complex, requiring both engines and control actuation systems to steer each stage. 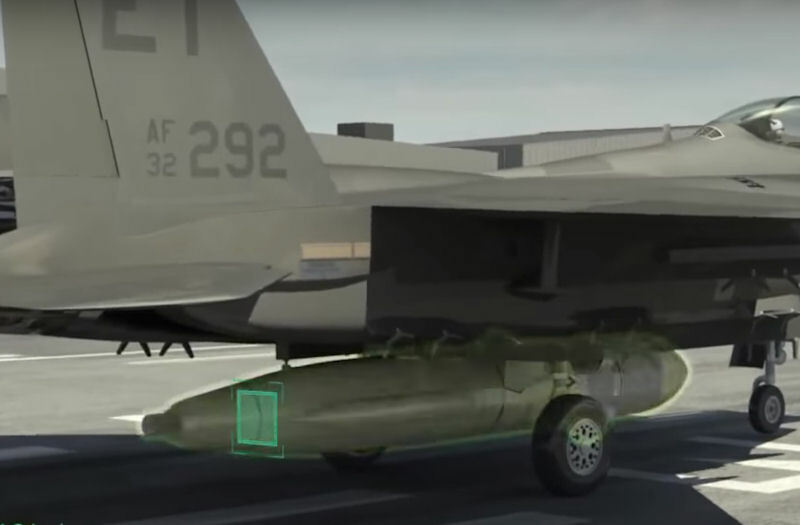 These control systems typically utilize actuators in both the pitch and yaw control planes to point the engine nozzle in a method referred to as thrust vector control, and require either electrical or hydraulic power sources which are added cost and complexity. Each stage has to be ignited as the lower stage is dropped from the vehicle. If a stage fails to ignite, the vehicle may not be successful in delivering the satellite into orbit. Further, conventional small multiple stage rockets often use solid propellant stages, which are heavier, less efficient, and more expensive than liquid propellant. Once solid propellant has been ignited it is difficult to stop the combustion until the entire propellant has been consumed unless higher complexity pintle techniques are used. Varying thrust or throttling the thrust level is also a challenge for solid propellant rocket motors. ALASA was multiple stage orbital delivery vehicle that used tractor propulsion to overcome some of these problems and disadvantages. The simplicity of a multi-stage launch vehicle employing only a single set of engines resulted in a lower overall part count, higher reliability, and lower cost compared to multiple stages each having separate engines and steering actuation systems. These advantages were magnified for smaller payload and air launched systems since the cost of engines, steering actuation, and support subsystems for each stage can dominate the total costs for smaller launch systems. The reliability of a simpler, lower part count implementation, particularly one employing monopropellant, was lower cost than multiple stages each with their own propulsion designed for the same level of reliability. The ALSA multiple stage orbital delivery vehicle comprised a first stage releasably connected to the orbital delivery vehicle. The first stage included a first fuel tank and first fuel system. The orbital delivery vehicle included a second stage including a second fuel tank and a second fuel system. The second fuel system may include second fuel line in releasable fluid communication with the first fuel line of the first fuel system. The second stage comprised engines in fluid communication with the first and second fuel systems. The engines used fuel from the first fuel tank or the second fuel tank. The ALASA program established and demonstrated procedures to mix, store, transfer and use a significant amount of the monopropellant. The N2O-acetylene mix, called NA7, is extremely energetic, however, and the challenges of working with it as a practical rocket propellant had yet to be surmounted. Acetylene is unstable. N2O is unstable. Mix them together - what could go wrong? As of November 2015, DARPA had conducted four subscale static tests of the propulsion system on test stands. These tests were anomalous and pointed to the need for additional tests as part of refining the engine design and assessing the viability of the mix for use as a safe monopropellant. Boeing led two subsystem tests in Promontory, Utah in August 2014 and April 2015 aimed at learning how the pre-mixed propellant reacted to different temperatures, pressures and atmospheric conditions. In both tests, the propellant exploded. DARPA believed that understanding how to use NA7 monopropellant safely could open up groundbreaking capabilities across diverse space- and non-space-related fields. To accelerate progress towards this goal, DARPA in November 2015 ceased development of the ALASA launch vehicle technology demonstrator and is focusing on monopropellant safety testing and certification. Moreover, recognizing that the commercial sector has made significant strides in low-cost, flexible access to space in the past few years, DARPA reassessed the emerging capabilities of commercial small-satellite launch providers. The Agency would consider opportunities to partner with providers seeking appropriate payloads for rapid, affordable access to space. 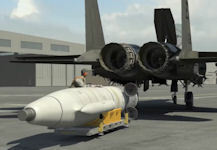 DARPA also intended to continue partnering with test ranges on groundbreaking software and hardware for future autonomous flight termination systems and build on the successful ALASA rapid mission planning system. DARPA is designing the software to be extensible to different launch vehicles—a capability that would remove the need to create proprietary, custom software for each vehicle and dramatically lower launch costs. DARPA would continue to investigate the development of space-based communications systems for launch range safety, to allow both greater flight rates and shorter preparation times than are possible with existing tracking, telemetry and control infrastructure, and continue to advance other technologies that support the goals of rapid, flexible launch.